Santa Fe, NM, radio station Blu 102.9 serves up the ‘Blu Ball’, an invitation only special event night of music, hot DJ’s, free buffet, cash bar and dancing from 6-11:59 p.m. Saturday, Dec. 15, 2012 at The Lodge at Santa Fe, located at 750 N. St. Francis Dr., Santa Fe, NM. Tickets to this event are not for sale because they are only available by winning them by listening then calling in to win a pair on Blu 102.9 or by winning them by entering to win a random drawing on http://www.santafe.com/blu#.UMHrzeT7L. BLU 102.9, a Hutton Broadcasting radio station in Santa Fe, NM, is throwing a huge party on December 15th they are calling the BLU Ball. Tickets to the event are limited to 400. The event features 3 bars at 1 Santa Fe, NM, hotel with the hottest DJs in town and it is by invitation only. Doors open at 6 pm. This event is featured on SantaFe.com, Santa Fe, NM's premier on-line visitor guide. Hutton Broadcasting’s BLU 102.9 is taking over all three clubs at The Lodge at Santa Fe with the company's very own BLU DJ's. There’ll be a free buffet, cash bar, special overnight room rates and lots of BLU prizes being given away at the event. There’s only one way to win and to get in to this event, Interested attendees have to listen to BLU 102.9 to win tickets, Tickets are not being sold to this event. Visitors to Santa Fe and locals are encouraged to listen to BLU 102.9 to win a pair of tickets to this fun year-end event. 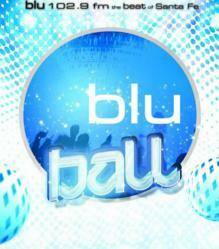 The BLU BALL is from 6 to 11:59 p.m. Saturday December 15, 2012 at The Lodge at Santa Fe. 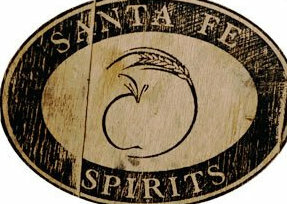 The event is being sponsored by Santa Fe Spirits and BLU 102.9, a Hutton Broadcasting radio station in Santa Fe, NM. Locals and Santa Fe visitors can also register for a random drawing for a free pair of tickets by filling out the form at http://www.santafe.com/blu#.UMHrzeT7LTo . Santa Fe, NM, radio station Blu 102.9 serves up the ‘Blu Ball’, an invitation only special event night of music, hot DJ’s, free buffet, cash bar and dancing from 6-11:59 p.m. Saturday, Dec. 15, 2012 a BLU 102.9 is throwing the biggest party of the year in Santa Fe, NM, on Saturday Night December 15th.